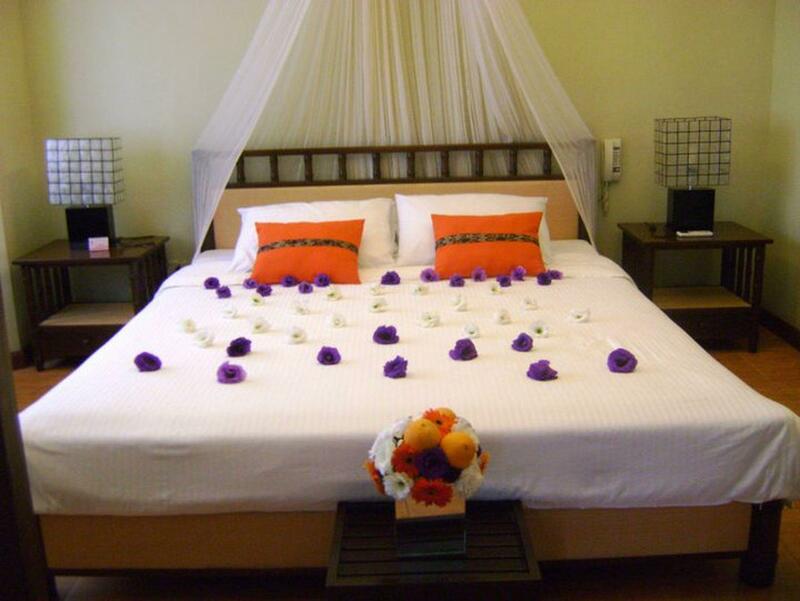 Have a question for Bali Bali Beach Resort? "We had a nice and quiet overnight stay here." "The ambiance of the place is pleasing to the eyes." "The food was the best." 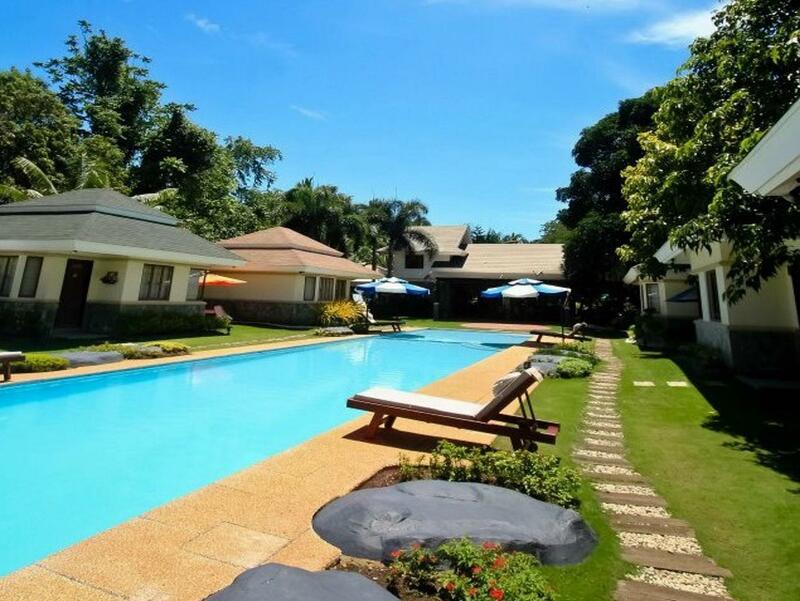 Ideal for fun and relaxation, Bali Bali Beach Resort is located in the Babak District - Samal Island area of Davao City. From here, guests can enjoy easy access to all that the lively city has to offer. For those of you who want to venture out, Samal Island, Seamans Hospital, Sta. Ana Domestic Wharf are just some of the attractions available to visitors. Offering hotel guests superior services and a broad range of amenities, Bali Bali Beach Resort is committed to ensuring that your stay is as comfortable as possible. The hotel provides 24-hour room service, car park, room service, airport transfer, restaurant to ensure our guests the greatest comfort. Hotel accommodations have been carefully appointed to the highest degree of comfort and convenience. In some of the rooms, guests can find television LCD/plasma screen, sofa, closet, non smoking rooms, air conditioning. Besides, the hotel's host of recreational offerings ensures you have plenty to do during your stay. Whatever your reason for visiting Davao City, the Bali Bali Beach Resort is the perfect venue for an exhilarating and exciting break away. "Their service is great and Jay, the care taker really took c..."
Please note that guests are required to wear proper swimming attire for the swimming pool (bikini or bathing suit for women/girls and swimming trunks or board shorts for men/boys). Please note that guests are not allowed to bring food and drinks into the premises. Guests are required to inform the property in advance of their estimated time of arrival and whether guests require a boat transfer (surcharges may apply) at least 2 days prior to arrival via the Special Request box or contact the property directly. This place has great amenities - clean and modern. The pool was nice and the kids enjoyed it. But other than that, one could have added just a little bit more and checked in at Pearl Farm. The place is overpriced and the staff is not courteous. They didn’t give us the right food order. We did not receive an apology, we were told instead to just pay for that order. Of course we did not agree to what we did not order. Worse part is if my mom did not double checked, we would have been charged for the order that we did not receive. We also did not get any free breakfast or free welcome drinks because we booked through agoda - we were told that we should have booked directly through them to get those services. If you want to marvel at your nice villa and somewhat okay pool, get poor service and pay so much, go to this place. Am just wondering why there's no breakfast inclusion during our stay. It is my foremost consideration when booking. So I was kinda disappointed. But Bali Bali Beach Resort is recommendable to others for its cleanliness and they've got nice, accomodating staff. Thank you. There are no pros other than their food. 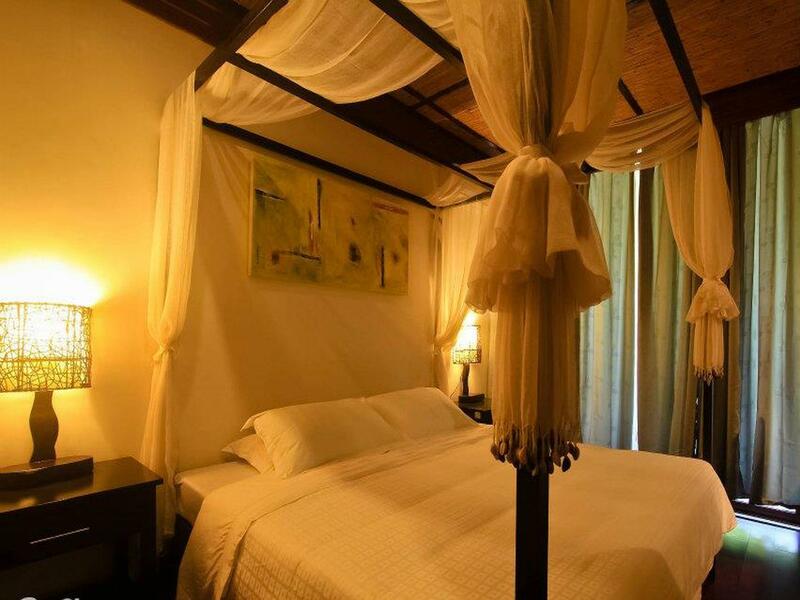 The villas look nice but have issues such as holes on the walls and ceiling to where lizards, rats, spiders and other disease infested or harmful animals can enter the room. A lot of lizards and spiders I saw in my room. When I talk to the reception about it she laughed out of disrespect and displayed how rotten animals are ok within any hotel room. I had to explain For 30 minutes of how no one in the entire world would want to get diseases from street animals. She then brought other staff with a ladder to patch the holes but did not touch the holes at all. When we tried to get into Davao they tried to charge us about $30 each person to get out even though all of the other hotels do it free of charge. I have never been to a hotel as twisted and as horrifying as this one. The staff are the worst I have ever seen or have dealt with. I was in a typhoon recently but would rather be there in the typhoon than here at Bali Bali. Don’t ever come here!! The place has a nice pool/view but that’s just it. 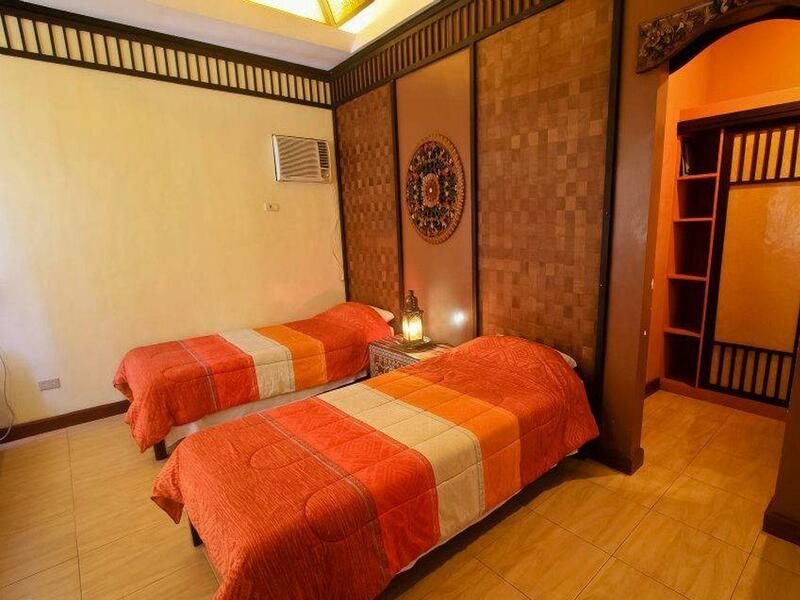 We stayed at their Bali Bali Suite - Filipiniana and the refrigerator in our room was “out of order” and the staff did not bother to inform us about it nor apologized. For a pricy resort, my expectations weren’t met especially when it comes to cleanliness. I was also surprised that for the price you pay, they don’t provide toothbrush! Dining was also a fuss because there were huge flies flying around. I wasn’t able to use their pool as well because it was dirty. They should improve the quality of their customer service and raise their standards in cleanliness/maintenance. We checked in last June 4th for an overnight stay and we were lucky to have the resort to ourselves. Their service is great and Jay, the care taker really took care of us. From serving us food, to playing romantic music, and setting breakfast by the pool. Let me share a few detailed pros & cons: PROS: -rooms are clean & spacious (we got the japanese suite & we fell inlove with it. From the bed to the bathroom). -nice, warm pool & jacuzzi. -towels are clean & the toiletries are not the kind -food is worth the price. Kudos to the chef for the tasty and well-plated food! Their fruit platter was so delicious i finished the whole plate by myself! -accomodating & friendly staff. We arrived early but they already had the room prepared for us. Then they served us buko juice & turon (my fiance was actually expecting just 2 bottled water as welcome drinks lol!) CONS: - the beach is not that nice (compared to paradise, pearl farm or talikud). But you can go snorkeling near the dock. Pros..... Nice location and setting. Lovely pool. Cons..... No restaurant on site. Food is made of site somewhere.Meaning you have to order at least an hour and ahalf before you rest. Menu is the same as other resorts and very limited. Security is poor. One guy (not armed )and is on the front gate, meaning the side with the jetty is unmanned. To sum up.... Beautiful location but needs properly managing. We had a nice and quiet overnight stay here. Excellent and accomodating staff. Rooms were clean. Has a nice cute little beach--would go back again. Staffs are all friendly and trustworthy. We were well taken care of. I love the room that we stayed in. The beachfront is not that inviting but the pool compensates it. I will definitely go back here if given a chance. I just wish the resort would offer a land arrangement from and to the ferry terminal. Initial check-in experience was frustrating - very limited online presence and inflexibility of online presence. Facilities were great & the room was unique. Our stay was great. The staff were very kind and approachable. The food was the best. This really made our day. The ambiance of the place is pleasing to the eyes. I just have to comment that there were no toothbrush and toothpaste inside the bathroom. Beach shoreline have some trash but this could have been washed from other areas. Overall stay was great. I don't know what else to add, a wonderful stay and day. It was our first anniversary and we learned we are expecting! !!!! This resort is great if your entire group can rent out all the villas. We did this, and Bali Bali became our own private beach house. They were very hospitable, service was good, and they accommodated changes to our menu and schedule. Overall, it made for a very comfortable stay and a fun trip.